Location of Greenup in Cumberland County, Illinois. Greenup is a village in Cumberland County, Illinois, United States, along the Embarras River. The population was 1,513 at the 2010 census. It is part of the Charleston–Mattoon Micropolitan Statistical Area. Greenup received its name from National Road surveyor William C. Greenup, who platted the town in 1834. He was one of the supervisors hired to oversee construction of the National Road in Illinois, surveying the original alignment from Marshall to Vandalia during the 1830s. The village of Greenup served as the Cumberland County seat from 1843 to 1857. Greenup is located southeast of the center of Cumberland County at 39°14′50″N 88°9′44″W﻿ / ﻿39.24722°N 88.16222°W﻿ / 39.24722; -88.16222 (39.247273, -88.162131). The Embarras River, a tributary of the Wabash River, runs past the northwest corner of the village. U.S. Route 40 runs through the village to the south of its center, while Interstate 70 runs through the northern corner of the village, with access from Exit 119 (Illinois Route 130). Effingham is 22 miles (35 km) to the west, while Terre Haute, Indiana, is 44 miles (71 km) to the east. According to the 2010 census, Greenup has a total area of 1.752 square miles (4.54 km2), of which 1.75 square miles (4.53 km2) (or 99.89%) is land and 0.002 square miles (0.01 km2) (or 0.11%) is water. As of the census of 2000, there were 1,532 people, 692 households, and 393 families residing in the village. The population density was 901.1 people per square mile (347.9/km²). There were 753 housing units at an average density of 442.9 per square mile (171.0/km²). The racial makeup of the village was 98.69% White, 0.07% African American, 0.26% Native American, 0.20% Asian, 0.07% from other races, and 0.72% from two or more races. Hispanic or Latino of any race were 0.26% of the population. No Pacific Islanders live in Greenup. There were 692 households out of which 24.0% had children under the age of 18 living with them, 43.8% were married couples living together, 9.5% had a female householder with no husband present, and 43.2% were non-families. 38.2% of all households were made up of individuals and 23.3% had someone living alone who was 65 years of age or older. The average household size was 2.13 and the average family size was 2.81. In the village, the population was spread out with 21.3% under the age of 18, 7.6% from 18 to 24, 24.3% from 25 to 44, 20.1% from 45 to 64, and 26.6% who were 65 years of age or older. The median age was 43 years. For every 100 females, there are 81.3 males; For every 100 females age 18 and over, there were 78.8 males. The median income for a household in the village was $29,375, and the median income for a family was $36,902. Males had a median income of $27,596 versus $19,013 for females. The per capita income for the village was $18,179. About 9.1% of families and 13.2% of the population were below the poverty line, including 17.4% of those under age 18 and 9.1% of those age 65 or over. Lincoln Bancroft, Illinois state representative and mayor of Greenup. Abe ("Ab") Bowman, pitcher for the Cleveland Indians, born in Greenup. James A. Peters, PhD (University of Michigan), herpetologist, Curator at Smithsonian Institution, authored Dictionary of Herpetology (1964), grew up in Greenup, interred in Greenup Cemetery. Bobbi Trout, pioneer aviatrix, born in Greenup. Cy Warman, 19th century author; born and raised near Greenup. 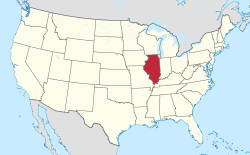 ^ "Geographic Identifiers: 2010 Demographic Profile Data (G001): Greenup village, Illinois". U.S. Census Bureau, American Factfinder. Retrieved August 4, 2014. ^ "James Arthur Peters". fr.goldenmap.com. Archived from the original on 12 December 2013. Retrieved 23 September 2016.